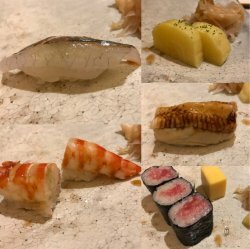 Distinguished as the finest Japanese restaurant in all of Singapore (it is the highest ranked on just about every dining list there is), Shinji is one of those places that is reserved for special occasions, the food here being absolutely sublime, and the bill costing a pretty penny. 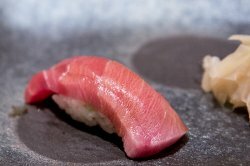 At $300 a pop for the cheapest omakase dinner option, Shinji is also renown to be the most expensive Japanese restaurant in Singapore. The multi-course meal is well worth it though, sparkling fresh, immaculately finessed and exquisitely plated. 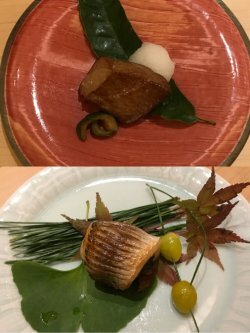 The restaurant, a pinewood-ed space of tranquility, is split up into several dining rooms, each one kept small so a single chef can helm it, and each room it can be switched up into a private space. Service was intuitive, attentive, and unobtrusive. 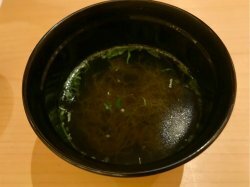 The waitresses were stealthy like ninjas, I never really saw them around, but my teacup was always filled to the brim, and barely a second after we whipped out our credit card, they appeared with the bill! We actually looked up to see if there were cameras in the room watching our every move. Best save this for a special occasion. 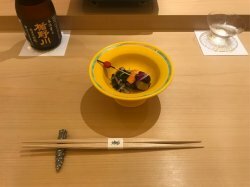 Two weeks ago I reviewed the $75, 9-piece sushi lunch set and concluded it was the best sushi in Singapore and hence was insanely good value. 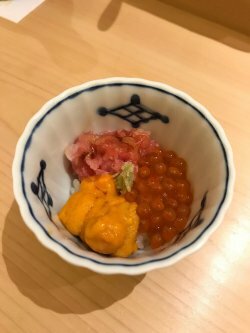 Today let's look at the Omakase, which at $250 is more than triple the price for some additional sashimi and cooked dishes. 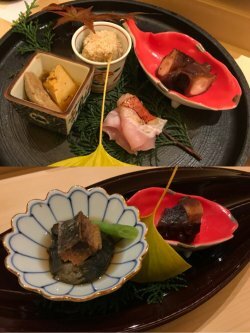 For lunch, we get different appetizers and desserts, and a grand total of 3 sashimi courses, 3 cooked dishes, half a tomato, 10 nigiri sushi and 1 maki. 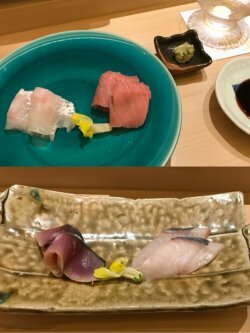 The sushi is, of course, sublime, especially the shari (rice) which is the best I've ever eaten anywhere in the world including Japan. 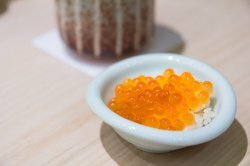 The cooked dishes have some hits and some misses, so aren't all that great. 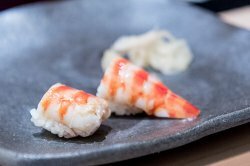 Considering the price differentials, it's hard to recommend the Omakase over the 'regular' lunch sets; however if you're in the mood for the absolute best the restaurant can offer, you won't be disappointed. 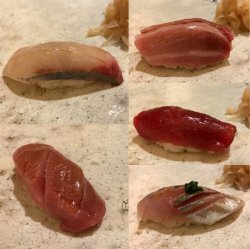 Best Sushi in Singapore. Good Value too (lunch)! 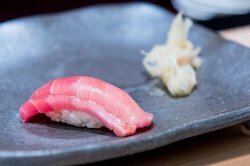 According to San pellegrino and Acqua Panna's 50 best restaurants in Asia, Shinji by Kanesaka is the best sushi place outside of Japan. It's awesome! 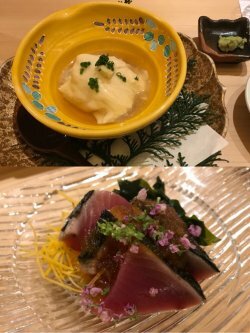 Prices at dinner are a bit steep but lunch, at $75 for the 9-piece Hana set (includes appetizer, some extra's, maki, egg cake, dessert) is actually very good value if you compare to, for example, Tsukiji's famous Sushi Dai which is about $65 anyway. 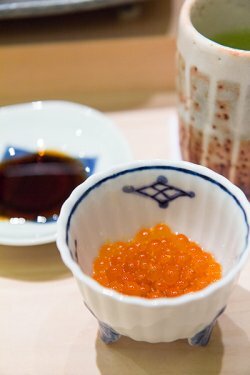 The service here is impeccable and I also liked how jovial the mood is among the diners and the chefs. 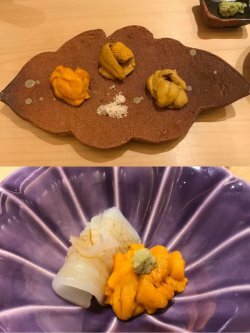 It makes the eating experience so much more pleasant. 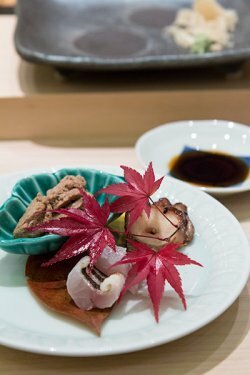 Overall, if you are a sushi or japanese food lover you owe it to yourself to come here at least once! 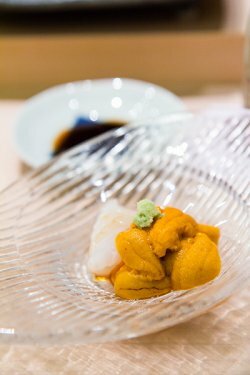 Try one lunch and if you're convinced then only splurge for the omakase's. 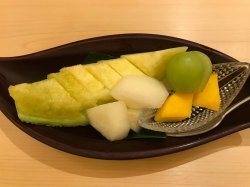 very light yet with a deep rich green tea fragrance at the same time.